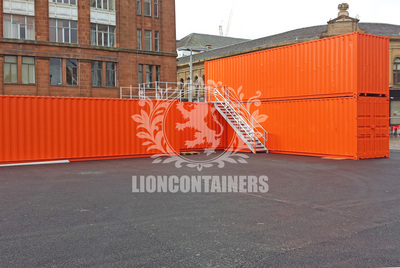 High cube containers are the ideal solution when the 8ft 6" height of a standard container is simply not enough. 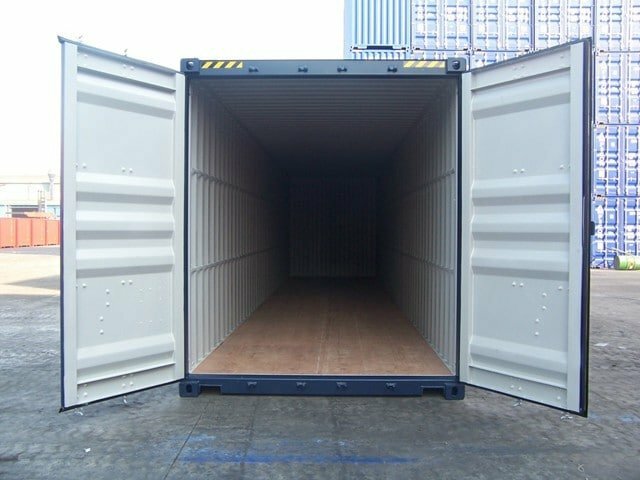 These units provide an extra 1ft in height. For further information regarding cost and delivery, please contact us and a member of our team will be in touch. 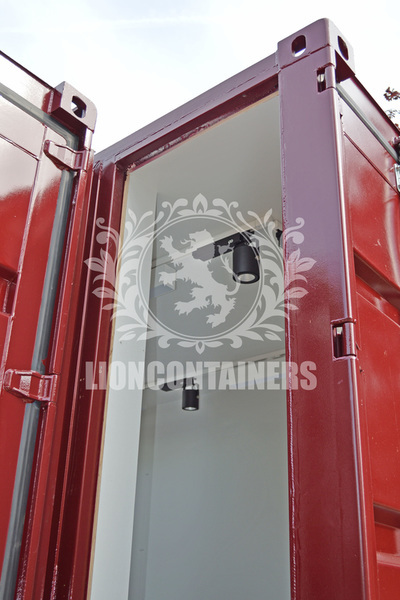 High cube containers are the ideal solution when the 8ft 6inch height of a standard container is simply not enough. 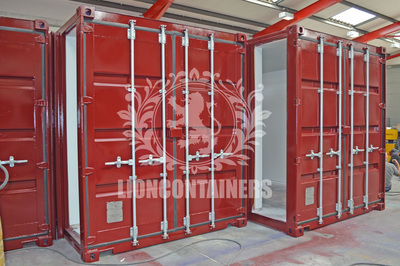 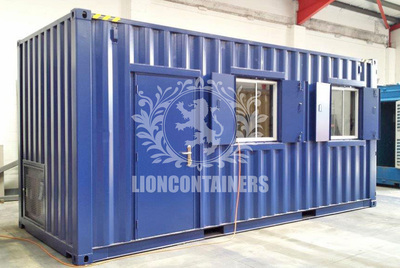 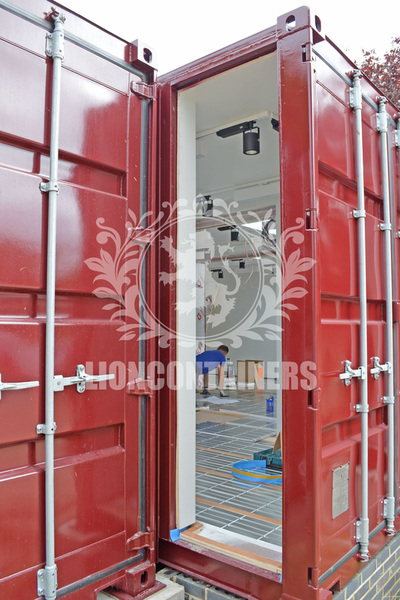 These units provide an extra 1ft in height making them 9ft6ins high, the other standard dimensions for width (8ft) and length (20ft or 40ft) remain the same as standard ISO containers. 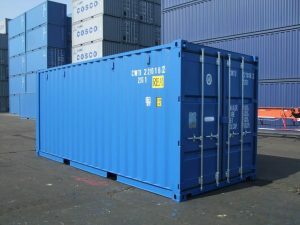 High cube containers are available as 20ft and 40ft units and are generally available in new condition (however, we do occasionally hold used containers in our stocks). 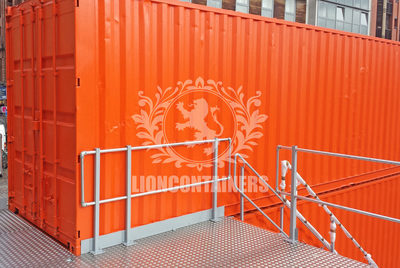 Whilst they are described as specialised equipment Lion Containers do keep a stock of high cube containers around the UK. 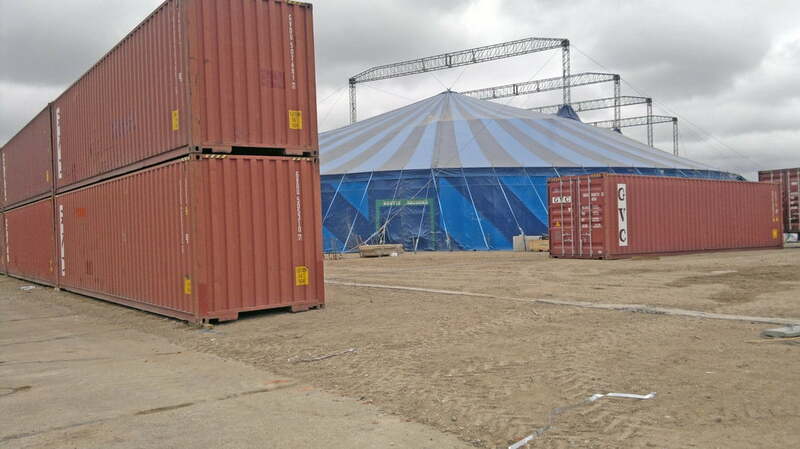 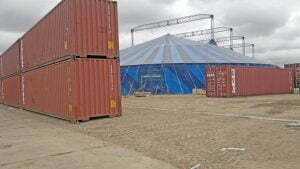 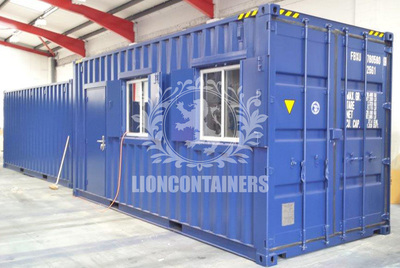 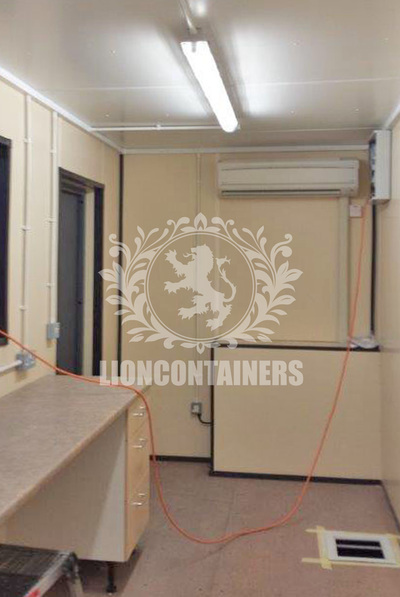 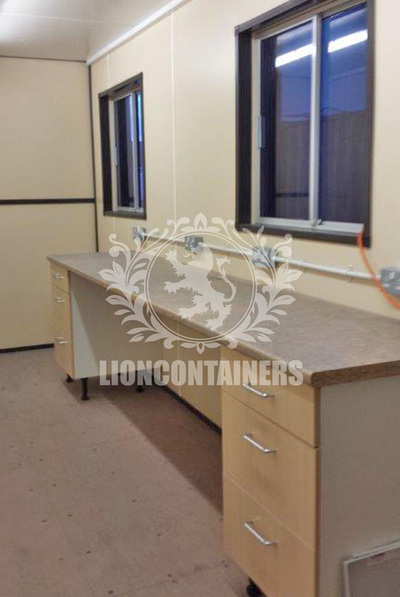 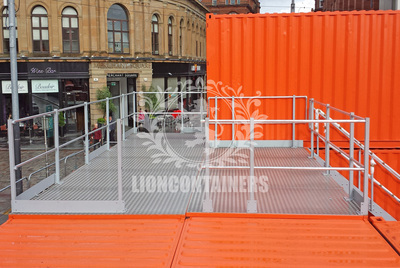 Below we have included some conversion projects we have undertaken using high cube containers. 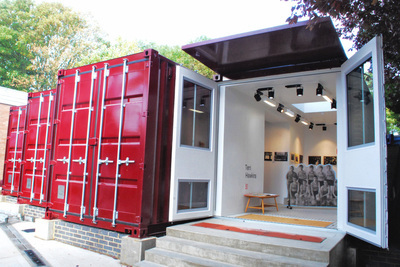 We supplied a plush art gallery for a London school. 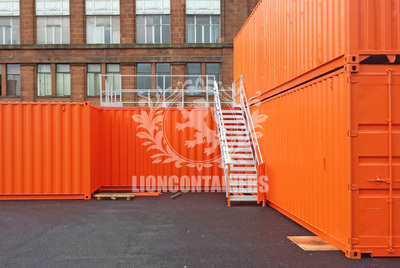 The art gallery was to maximise space and light and be constructed from four 20ft high cube ex shipping containers.